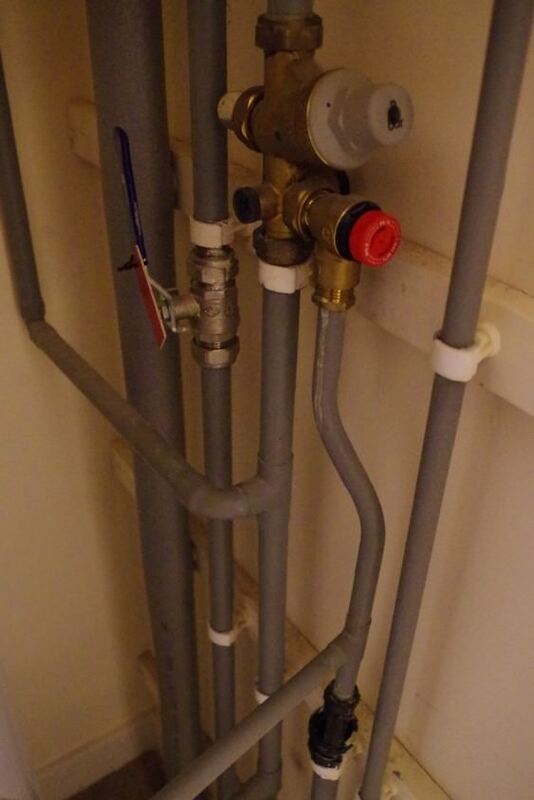 Discuss plumbing related issues here - pex, drains, etc. I was grateful to locate my boiler temperature relief valve. Nice job ! This house is a new build, 2012. So still under builders warranty too. I've let some pressure off the release valve on the cylinder and the noise has quietened down a little but its still noticeable. I think the water in the overflow pipe has slowed down, but is still constant. I have contacted plumbers and heating engineers and just wanted to try some last efforts and educate myself before getting someone in. If this is your water heater it is unlike any I have ever seen? You should only lose water through the pressure relief when there is a problem (over heating, over expansion). I have no idea whatbuilou have there and why it’s plumbed directly to another line? I really don't know what we're looking at here. Is this hot water heater only or do you use hot water to heat the home as well? What you describe is also completely foreign to me, since regardless of this being a heating system or hot water only, there should not be a need for an "overflow" since they should be closed systems. I would simply call in a local tradesman to check the system for you. If you don't know who to call, consult with trusted family and friends for whom they use or get referrals/reviews from social media. 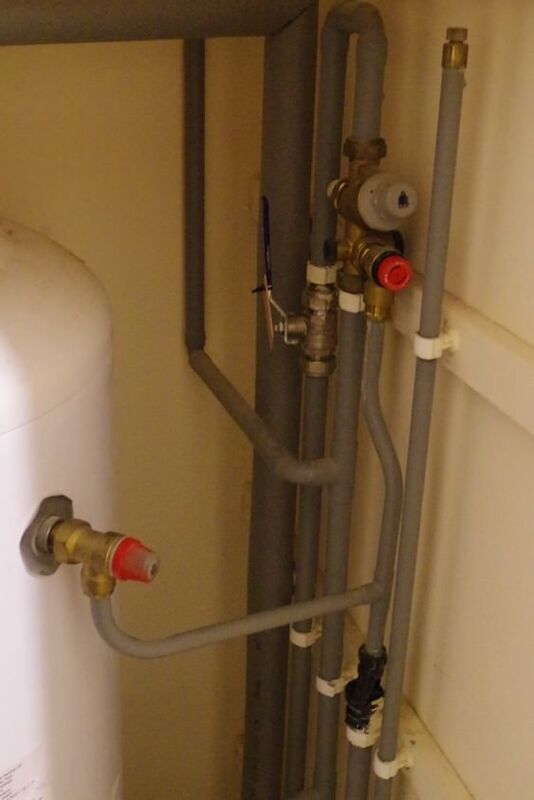 My heating is provided by a community biothermal system, and the cylinder here is the immersion heater which acts as a backup yet also stores hot water from the community system. Ditto, I do not have that kind of system here either. Best call in some local pros to assess.